We are now offering our clip modifications to our web customers. Moving clips like the Emerson CQC-8 right-hand-to-left-hand swap pictured below start around $20-25. The simplicity of the Emerson design and the lack of contours makes the clip swap a quick and straight forward process. More extensive jobs like the Benchmade 761 tip-up-to-tip-down swap below will start around $60-$65. For the Benchmade, the clip had to be modified, a new lock-stop fabbed, and all bead blasted to match. Please feel free to visit the contact us page if you have any further questions and need to get a hold of us. Benchmade 760 clip swap for tip-up carry. We offer bead blasting services for certain folders. In the case of the ZT 301 pictured below, once pocket wear sets in, the coated titanium scale of your edc starts to show age. By stripping the coating off, the exposed titanium gives a clean, refreshed look, as well as a little bit of uniqueness. The clip was bead blasted to match, just for good measure. Please feel free to visit the contact us page if you have any further questions and need to get a hold of us. 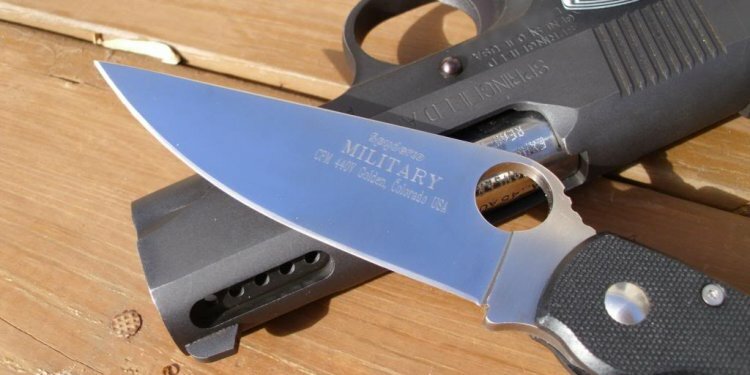 Profile changes to the blade, such as changing a drop point to a clip point or adding a choile, like the Spyderco Endura pictured below start around . Full regrind charges will vary depending on the extent, and difficulty, of the modification, but generally start around $20. Handle re-profiling charges will run a bit more depending on the handle materials. The reprofiled handle on the Benchmade Contego pictured below runs about $25-$30. Please feel free to visit the contact us page if you have any further questions and need to get a hold of us.